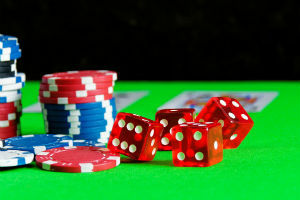 State Senator Steve Stadelman (D-Rockford) voted today for a measure that will authorize a new casino in Rockford. The measure, part of the Senate’s grand bargain, passed 31-26. As the director of Circles of Learning daycare center in Rockford, Anita Rummage’s passion is providing a safe, fun place for children to play and learn while their parents work. But the state’s historic budget crisis has stopped Anita from accepting as many children as she would wish. For the first time ever, the center doesn’t have a wait list. That’s because the eligibility requirements for the Child Care Assistance Program changed in November 2015. Instead of accepting families whose income is at or below 185% of the Federal Poverty Level, the program now offers assistance to families with income at or below 162% of the poverty line. Additionally, parents who are attending school full-time to receive their undergraduate degree are no longer eligible for assistance. Anita says several families fall into those categories and have therefore been unable to send their children to Circles of Learning. The daycare center itself has made ends meet during the crisis, being a bit more economical on purchasing supplies here and there, but Anita truly hopes the Child Care Assistance Program can be restored to the level it was before the budget crisis so she can welcome the children stuck in limbo. 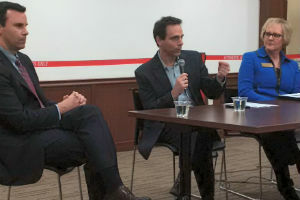 State Senator Steve Stadelman was joined by public school superintendents Ehren Jarrett of Rockford and Julie Morris of Harlem for a discussion of the outlook for education in Illinois' spring legislative session. Much of the conversation at the League of Women Voters forum centered on the longstanding need to reform the way the state funds schools in a way that reduces the reliance on local property taxes. Stadelman told the crowd at the North Suburban Library in Loves Park that Illinois currently pays about a quarter of the cost of operating schools across the state, which puts an unfair burden on poorer communities where teachers need more resources but where low property values produce less tax revenue to cover the state funding gap. "Wealthy suburbs of Chicago spend twice as much per student, but their tax rates are two times lower," Stadelman said. "That creates great inequity across the state. We probably have the most inequitable funding system in the country." Stadelman said he is hopeful that the Illinois Senate passes a bipartisan 2017 budget compromise that includes education funding reform among one of 13 pieces of legislation. A vote to advance the so-called grand bargain to the Illinois House could come as soon as Feb. 28. Gov. Bruce Rauner last week unveiled a budget at least $4.6 billion out of balance that relies on the success of a Senate grand bargain to save the state’s finances. A deeper dive into the plan showed it actually may be unbalanced by more than $7 billion, according to analysts including the governor's own budget chief. "Meanwhile, at the Capitol, Senate Democrats spent hours dismantling Rauner's budget proposal, hammering administration officials about the exact size of the plan's multibillion-dollar deficit. By the end of the contentious hearing, Rauner budget director Scott Harry acknowledged the spending plan is $7.2 billion out of whack without various savings and revenues built into the proposal that rely on changes in law which are far from fruition." 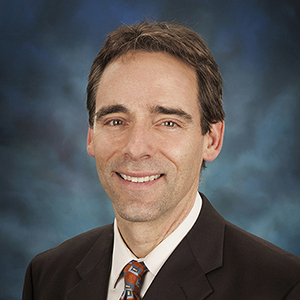 Senator Steve Stadelman released the following statement in response to Gov. Bruce Rauner's budget address this week: "I appreciate that Governor Rauner acknowledged the bipartisan effort of my colleagues in the Senate and our work on budget deal. I am, however, disappointed that he did not fulfill his constitutional duty to propose a balanced budget." Rauner's proposal calls for $37 billion in spending but anticipates only $32 billion in revenue. "Illinois has been greatly hurt by the unprecedented budget impasse," Stadelman said. "With funding now stopped for services for our most vulnerable citizens, it is more urgent than ever that we end this stalemate. In the Senate, I look forward to continuing to work toward a negotiated, bipartisan budget for the first time in over two years." Steve Stadelman was among Senate Democrats who last week passed three good-government measures that are part of a closely watched balanced budget and government reform deal. The measures – government consolidation, procurement reform and financing relief for municipalities – were negotiated by lawmakers of both parties, but passed only with Democratic support. "The state's fiscal crisis worsens by the day, so the remaining components of the budget deal need our approval as soon as possible," Stadelman said. "The negotiations taking place in the Senate are the only comprehensive plans in the works to break the political gridlock that is damaging Illinois in so many ways."